There will be something for everyone to do in the Staffordshire market town of Tamworth this year as a jam-packed line up of outdoor events has just been revealed. 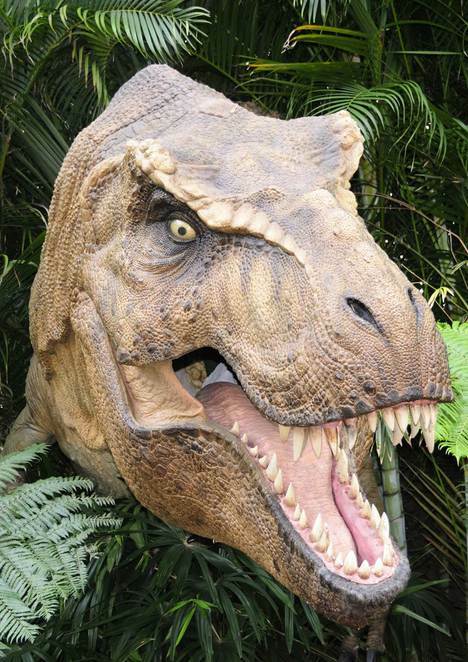 From life size dinosaurs, a dragon and medieval knights to a flash mob, fireworks and a lantern parade – these are just some of the highlights of the 2017 programme of outdoor events that Tamworth Borough Council has in store for people throughout the year. The council's Arts & Events team has just unveiled its programme for Tamworth families and visitors to the area. The 2017 calendar includes past favourite free events such as the St George's Day festival, We Love Tamworth, the fireworks display and the Christmas lights switch-on. 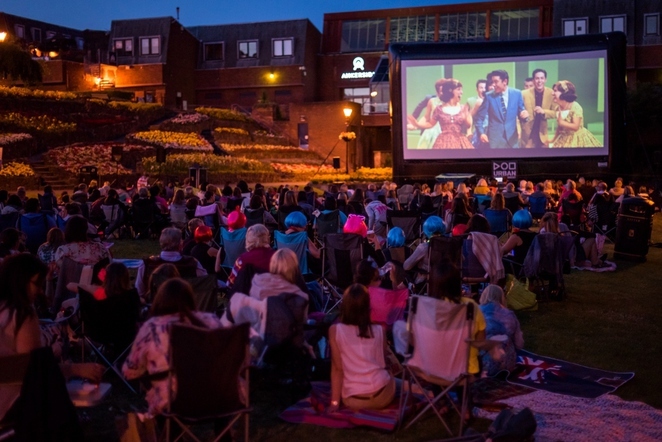 In addition, the popular Outdoor Cinema is also back for this year, along with another helping of outdoor theatre in the community setting of Dosthill Park. This year's programme also features a focus on live music events as part of the Arts in Unusual Spaces project, funded by Arts Council England. The 'Music Outside' element of the project incorporates this year's Summer Bandstand Concerts, Tamworth Jam – which has been developing the skills of budding young performers – and a live marching band workshop with a twist. Outdoor entertainment starts with a bang with one of the town's most popular annual events - the St George's Day celebrations - which will take over Tamworth Castle Grounds on Saturday 22 April with wall-to-wall medieval-themed activities. This year's extravaganza will see the return of festival favourites such as the Grand Medieval Joust, a medieval encampment, skirmishes, have a go archery, fairground rides, stalls and the Children's Zone (charged at £3 per child). There also promises to be a brand new dragon for 2017, storytelling, pottery making workshops, Morris dancing and a medieval comedy show. The outdoor element of Music Outside launches on Saturday 20 May when young people who have been working with professional artists to develop their singing, songwriting and musical skills will showcase their talents with live performances in Tamworth town centre. The Tamworth Jam group will then kick off the summer season of Bandstand Concerts, performing in the historical Castle Grounds bandstand on Saturday 1 July. A variety of local bands and singers will follow them to the stage on weekends throughout the summer. 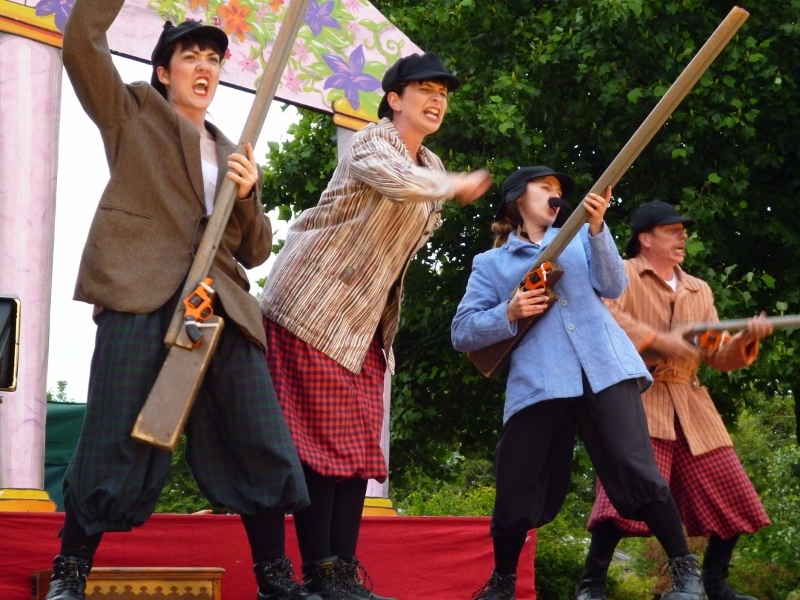 Life size dinosaurs will be coming to Dosthill Park on Sunday 16 July when Sir Arthur Conan Doyle's The Lost World will be performed in the outdoor setting by open-air touring theatre company Illyria complete with prehistoric thrills, monster laughs and dinosaurs. And that will soon be followed by this year's Outdoor Cinema on Saturday 5 August, with Pretty Woman topping the poll for the 9.15pm screening and The Goonies winning the midnight movie slot. Although tickets for Pretty Woman sold out within just five days of going on sale, tickets are still available for The Goonies, at the discounted price of £8 until July 1. The popular We Love Tamworth event returns to the town on Saturday 2 September when the Castle Grounds will come alive with fun, games and activities for the whole family. These will include fairground rides, a dog show, stalls, Tamworth's strongest man competition, and a Children's Zone. This year's event will also include surprise flash mobs as local brass bands will be invited to brush up on their marching skills with help from Mr Wilson's Second Liners marching band, where New Orleans meets '90s club classics. 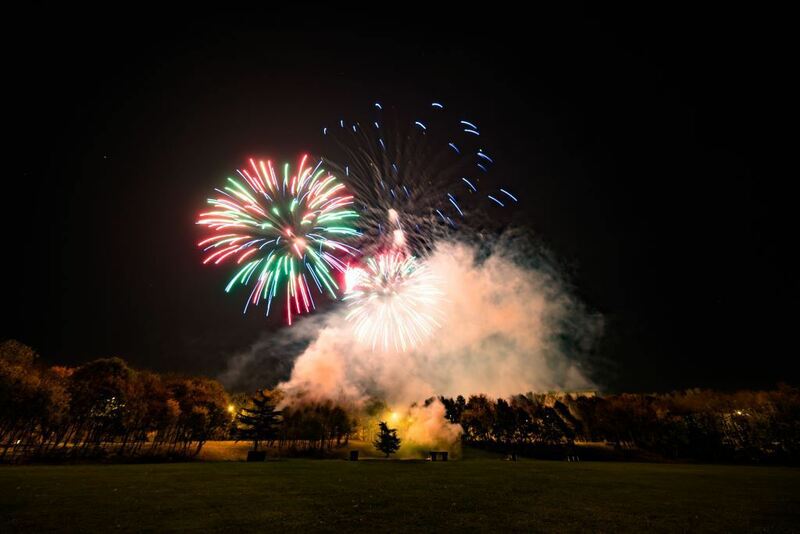 Fireworks will light the skies above Tamworth again with the town's annual display of pyrotechnics, on Saturday 4 November. The programme ends with the Christmas Lights Festival which will see the town marking the start of another festive season on Sunday 26 November. This year's Christmas lights switch-on will also include a special lantern parade. Councillor Joy Goodall, Tamworth Borough Council's Cabinet member for Environment & Culture, said: "This is another great line up of events, with some exciting new features alongside the more popular festivities which have put Tamworth on the map in the recent years. Thousands of people travel for miles to come to some of our larger celebrations, such as St George's Day and the Fireworks. Providing quality entertainment for our residents and to attract visitors to the town remains a key priority for the council and our thanks go to the Arts & Events team for organising another fantastic selection. We hope to see lots of people coming out to take part in the fun." Tickets for the Outdoor Cinema and The Lost World are available online, in person from Tamworth Information Centre in Marmion House, Lichfield Street, or by calling the Box Office on 01827 709618. A transaction fee of £1 is payable on all online and telephone bookings.